The housing market has improved and homebuyers have to be aware that the chance of a bidding war is out there. 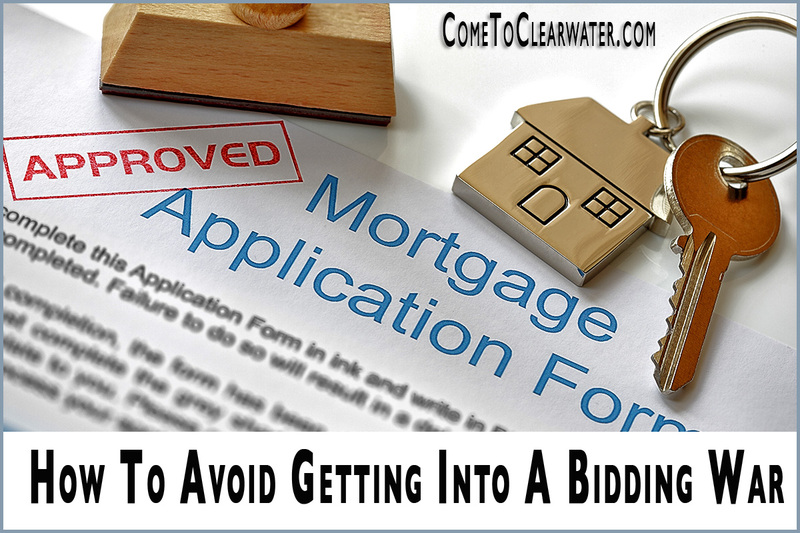 Do you know how to give yourself the best way to win that bidding war? Here are a few things that should put your offer at the top of pile. First thing you should do as a homebuyer, is make sure you have your financing in place before you start your house search. 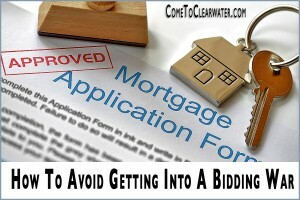 Find the lender you wish to use, apply and do everything the lender requires in order to give you a preapproval letter. Have it in hand before submitting an offer. Keep a folder with current pay stubs, bank statements and all of the paperwork they will need to process it once you do have the pre approval. In some places, it’s common to accompany your offer with a financial information sheet detailing your job history, salary and bonuses, 401(k) balance, how much you have for a down payment, and where the down payment money is. Show the seller that you are serious and able to purchase their home, and you will win the war. Next, make a fair offer. In a seller’s market, that means make a full price offer. If there have been other offers made, consider an above asking offer. Also make sure you have a higher than average deposit. Another good idea is to keep the amount and type of conditions out of the offer. Things like contingencies for selling your current home, or extended times for financing approval. Some people will say drop the home inspection contingency, but that isn’t a good idea. Instead, read all disclosures and ask if the sellers have had a home inspection prior to listing the home. If that is acceptable, you can still have your own inspection in order to provide information on the home’s condition. You can also have an inspection done prior to making an offer, or bring one along with you when you tour the home, and if they feel it is acceptable then make a non-contingent offer. If you do this you should have a home inspector ready almost the day the home goes on the market. Being prepared will get you the home you want. Be prepared! You’ve had your home on the market and now have the delightful situation of multiple offers. So how do you decide which offer to choose? Well, there are a few things that come into play, such as the financing situation of the buyers, length of closing period, other agents reputation, price, weird conditions the buyers place in the offer, like keeping your decorations or taking out the in ground pool. 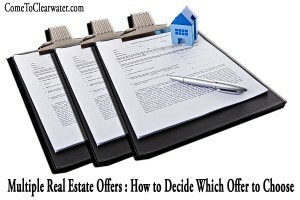 Most importantly, know that your Realtor will not be sharing the offers with all the other agents. Doing this might give one an unfair advantage and doing so would violate their ethics (and license). The reasonable choice when fielding multiple offers is to take the one that has the highest bid, but that’s not always the case. Sometimes buyers who come in with a lower price, but can fill other needs of the seller may just get the house. What if your seller needs a quick settlement, but the highest bid needs more than 30 days to get their financing in place? What are other items that can trump price? Inspection requirements. Yes, inspections are important, but as a seller if you have already done one, wouldn’t the buyer who doesn’t require a second of their own trump one who does? This can also shorten timing requirements. Shortening the mortgage contingency. As a seller, a buyer who is preapproved and has all of their financing approved and in place is much more attractive than one who doesn’t. It can mean accepting a lower offer. Higher deposit amount. This also feeds back into financing. Putting up a higher deposit shows a buyer who is serious. Who is making the offer. In some cases, knowing something about the people making the offer can make a difference as well. Are they a family who fell in love with your family home? That can make them more attractive to you than a single or couple. As a seller, price usually trumps, but other items that can gum up a sale being removed from the process can help you decide which offer to take. Know what is important to you and decide accordingly.